Compliant with Universal Serial Bus Specification Revision 2.0 Data Transfer Rate of 1.5/12/480 Mbps. Compliant with Universal Host Controller Interface Specification for USB Rev 1.1 . Compliant with Enhanced Host Controller Interface Specification for USB Rev 0.95. PCI Multi-function device consists of two UHCI Host Controller cores for Full/Low-Speed signaling and one EHCI Host Controller core for high-speed signaling. 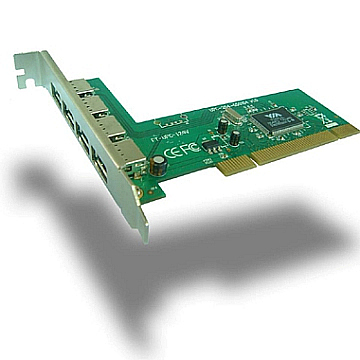 32-Bit Host Interface compliant to PCI specification release 2.2. 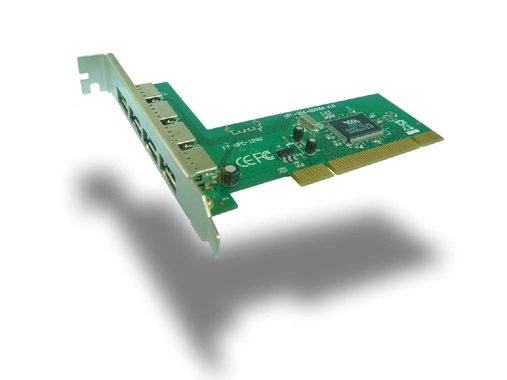 Supports PCI-Bus Power Management Interface Specification release 1.1. All downstream facing ports can handle Hing-Speed(480Mbps), Full-Speed(12Mbps) and Low-Speed(15Mbps) transaction.